Party107 is a 100% commercial-free Internet radio station devoted to bringing you the best trance and progressive sets 24/7 since 2003. UNLiMiTED FRiDAY 750 XXL - Over 29 hours of sets (2019-04-05)! Tune in Friday April 5th starting at 2:00PM Eastern / 20:00 CET / 19:00 UK for a very special 29+ hour celebration for 750 episodes of UNLiMiTED FRiDAY, presented by MACKerMD! Merry Christmas and Happy Holidays from Party107! Tune in December 25th starting at 5:00 AM Eastern / 11:00 CET / 10:00 UK for a 7+ hour nonstop mix of Trance Culture's Top 100 tracks of 2018, hosted by Veselin Tasev! UNLiMiTED FRiDAY 700 XXL - Extended 25+ hour episode (2018-04-20)! 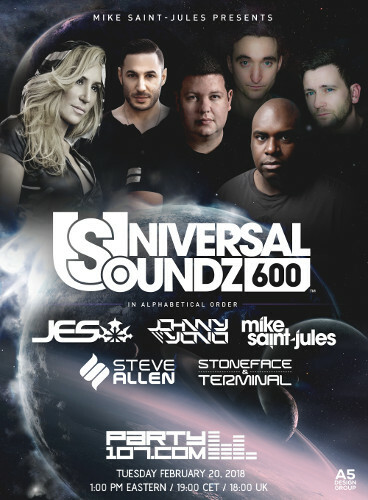 Universal Soundz 600 Celebration - 6 Hours Nonstop Sets! Tuesday February 20 marks the 600th episode of Mike Saint-Jules' Universal Soundz, which will be celebrated with a massive 6 hour nonstop episode with guests JES, Johnny Yono, Steve Allen, and Stoneface & Terminal! 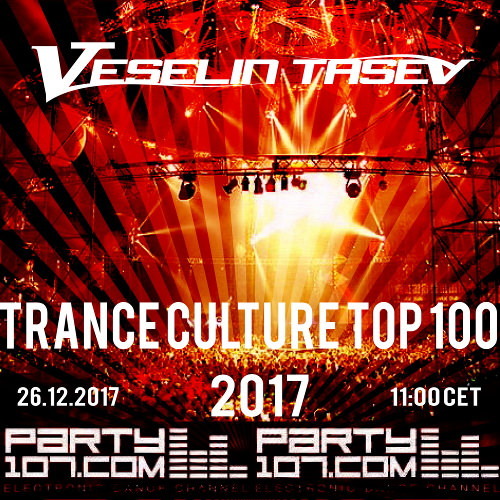 Tune in Tuesday December 26th at 5:00 AM EST / 11:00 CET / 10:00 UK for a special 8 hour nonstop set by Veselin Tasev, spinning Trance Culture's Top 100 tracks of 2017!